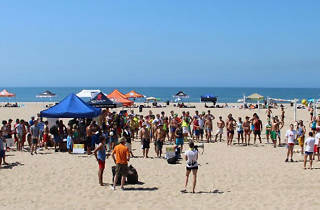 Photograph: Courtesy LA Gay and Lesbian Center LA Gay and Lesbian Center's Beach Classic. 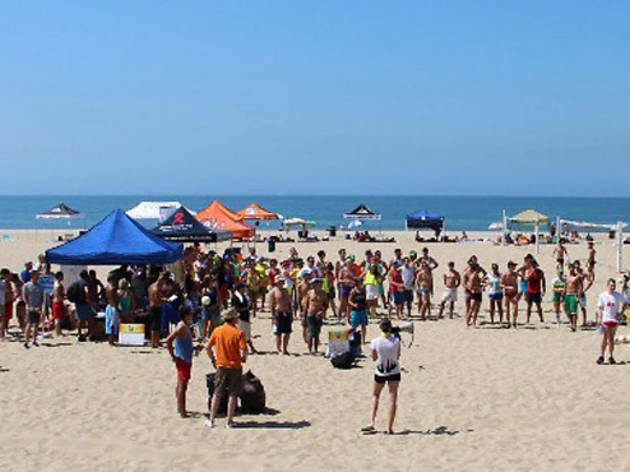 The LA Gay and Lesbian Center's annual volleyball tournament amps up the competition with the addition of a 2k open water swim and a 5k run—costumed competitors can collect prizes for the pick-your-decade dress code. Registration will run you $50—additional fundrasing supports the Center—but spectators can cheer on friends and family for free.